Have you seen the Met Ball pics (all 90-something of them) yet? I have so much to say, beauty-wise—because I can&apos;t remember a juicier red carpet, EVER—but let&apos;s start with the weirdness first. With a theme like Punk: Chaos to Couture, it was bound to happen. 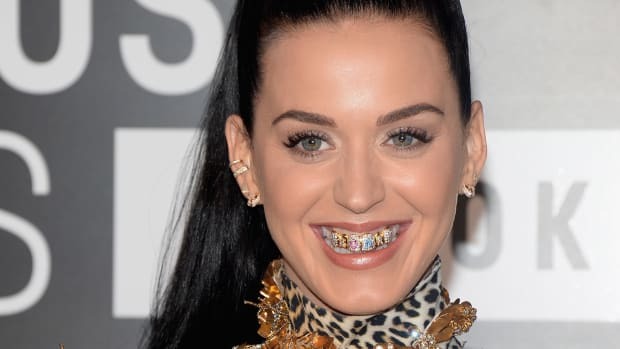 Some celebs just cannot... and should not... do punk. (How bizarre is it to see someone like Ivanka Trump with blue hair streaks?) Others, well, I do have to give them points for trying, even if they didn&apos;t quite pull it off. After all, it&apos;s not like it&apos;s the Oscars where the goal is to just look nice. This is FASHUN! You know it. 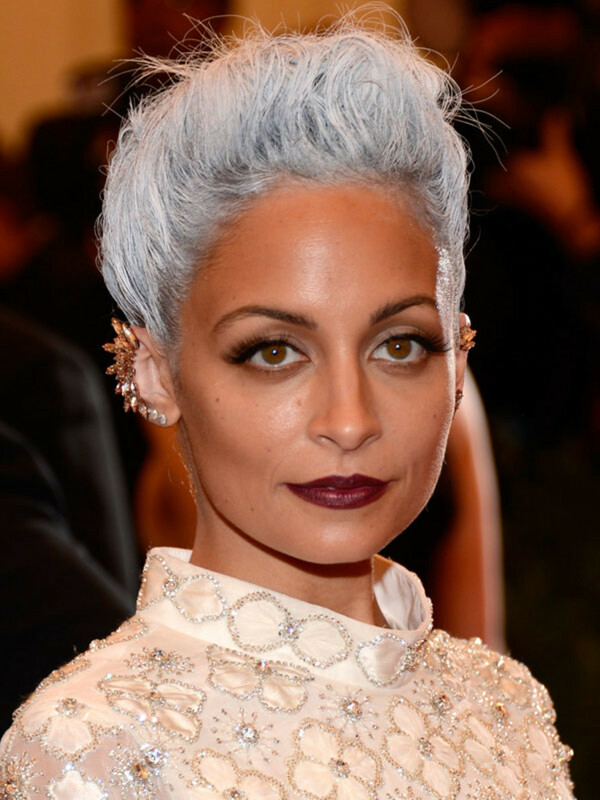 Nicole&apos;s hairstylist Luke Chamberlain gave her GREY hair paint in a mission to take her look "to an elevated, next level kind of punk." Sure, if your interpretation of elevated means aging yourself by 40 years. But it&apos;s not even the idea of hair paint that bothers me here. It&apos;s the clashing that is the problem. This colour is completely wrong for her skin tone—horrifically wrong. But on someone with the complexion of, say, a Fanning sister? Maybe it could&apos;ve been cool. So I&apos;m not bashing on Nicole&apos;s risk-taking... just the execution. PS: The lip colour blows, too. Was this really necessary? Miley&apos;s already got a punk thing going on with her cropped blonde cut and the edgy outfits and jewellery she wears on a daily basis. 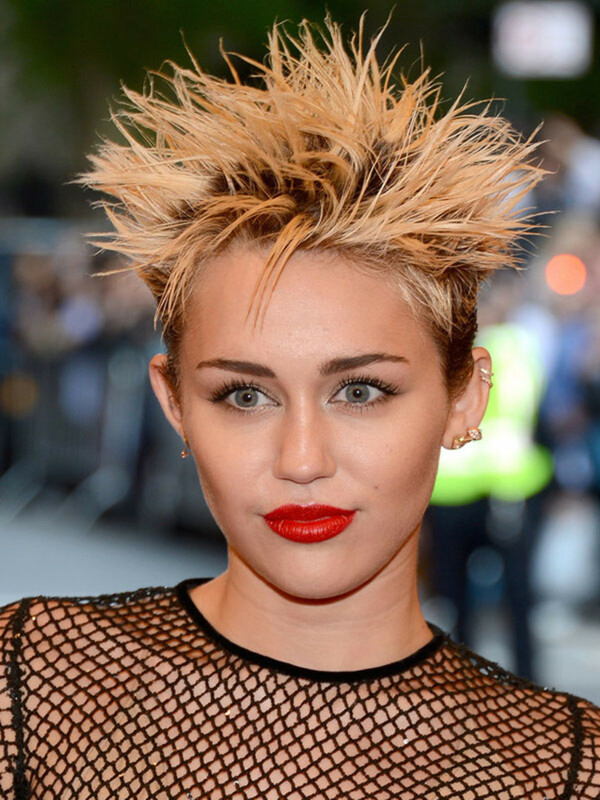 Did she have to spike out her hair worse than Corey Hart circa 1986? Between that and the root action, I&apos;m clutching my pearls here. I will give her some points for the makeup, though. It&apos;s pretty! Much less than she used to wear in her hair extensions days (remember then?). Her skin looks fresh instead of pancake-like, and that red lipstick is so juicy-looking. Also? I wish she&apos;d give it up on the dark, matte lip thing. It&apos;s so harsh. Not feeling the frizzy hair either. January Jones just needs to own her Betty Draper-ness, dontcha think? 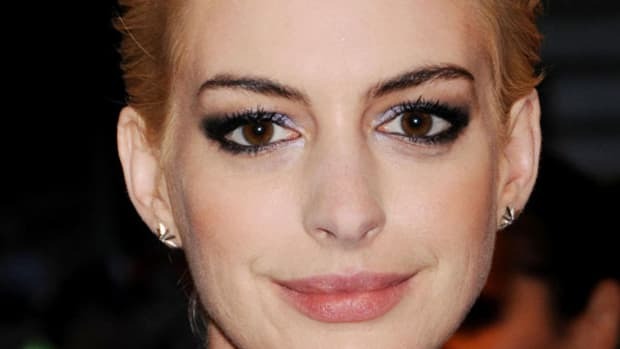 I applaud how she goes for extreme beauty looks again and again on the red carpet... like this runway-inspired eyeliner... but it almost always disappoints. Somehow, it feels forced and unsatisfying, like she&apos;s robbing us of her beauty. Compare it to when she does good old-fashioned glamour, like at the 2011 Golden Globes. Now THAT is her kind of look. She killed it! Not that I would advocate the same thing for a punk gala, mind you. I just think January needs to find some kind of middle ground here. Here&apos;s another extreme eye look, and I almost didn&apos;t include it on this list. 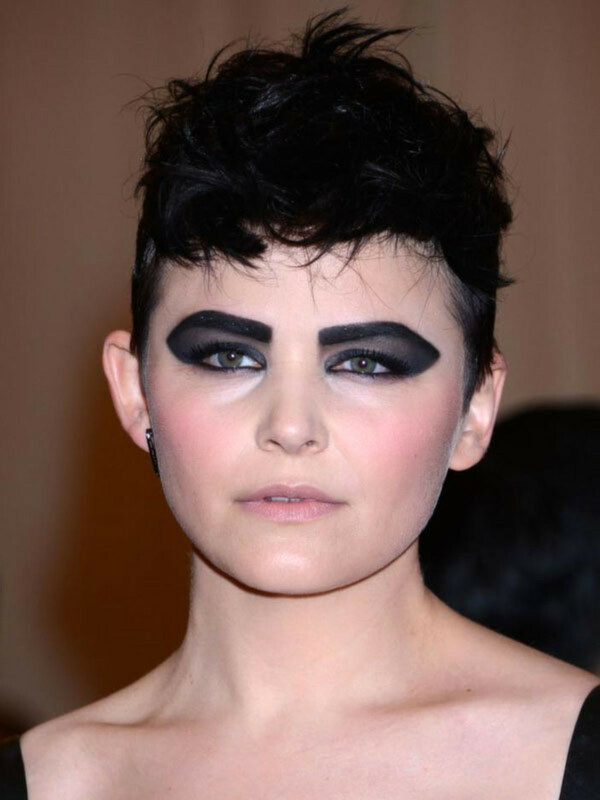 Ginnifer is already known for her makeup creativity—so it&apos;s hardly a stretch to go from that to this graphic black shadow shape. According to her makeup artist Mai Quynh, it was inspired by Siouxsie Sioux of Siouxie and the Banshees. It&apos;s just not very flattering, is all, and it didn&apos;t go well with the dress. Although I will say that Mai did a fab job on the skin and lips, which were kept fresh and slightly flushed. Did you miss this fauxhawk braid thing on Jennifer Morrison? In the front-on pic, you couldn&apos;t really tell what was going on... but what a surprise from the side! A not-very-nice surprise, I might add. Sure, it&apos;s punk, and it&apos;s something different... but I think it worked much better when Selena Gomez did it a few weeks ago. On Jen, I&apos;m just not getting the same fun, effortless vibe. You know, I don&apos;t even really mind this rainbow eyeshadow on Elle because she&apos;s what, 15 years old? Worn with the natural hair and otherwise bare face, it&apos;s fun and age-appropriate... that is, for a teenager going to the world&apos;s most prestigious fashion event (!!). The only other places I could see it working are a) the runway or b) a Halloween party. And for all three, you kinda need to be under 20 years old. There is so much &apos;trying too hard&apos; emanating from Julianne Hough, I can barely breathe. 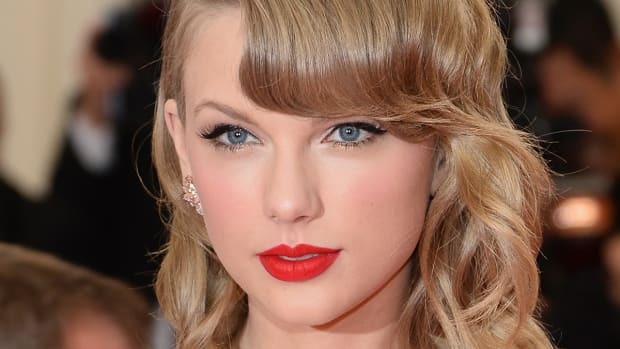 Every once in a while, the girl will come out with something pretty decent—or even amazing, like her Grammys look last year—but most of the time, she assaults our senses with a mixed bag of trends worn all at once. Ridiculous! It&apos;s the only word that comes to mind for Beyoncé&apos;s Met Ball style—and I&apos;m not even talking about the boots and the belt, although they were pretty "special" as well. Nope, I&apos;m talking specifically about the beauty part. What in the world would possess her to bust out the Barbie-doll hair, frosty pink lip gloss, and ALL-OVER BODY GLITTER for a punk-themed fashion event? And the award for the biggest WTF of the night, I&apos;m sorry to say, goes to Zooey. Did you even recognize her? I swear to God, when I was pulling together all 93 images for the gallery the other day, it took me an extra hour because I kept thinking I had got the wrong one for Zooey. Without the bangs, she looks like a different person! And unfortunately, much less cute. Pro tip: Don&apos;t get rid of your beauty signature, the thing that practically got you famous, for one of the most-photographed events of the year. Another tip: Don&apos;t wear a seersucker ballgown. So not punk. Which celeb look was the worst of the night? Who were you the most shocked by? Anybody else you think should or shouldn&apos;t be on this list?